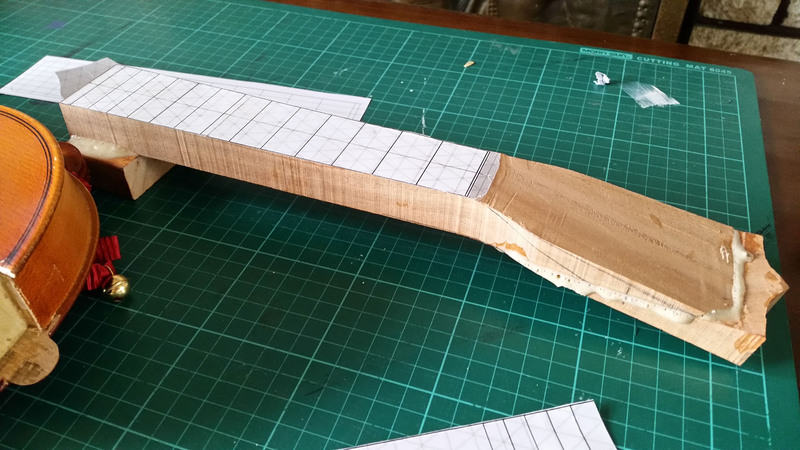 Really this is only a half project, if that – I didn’t make the body, just modified it and built the neck. 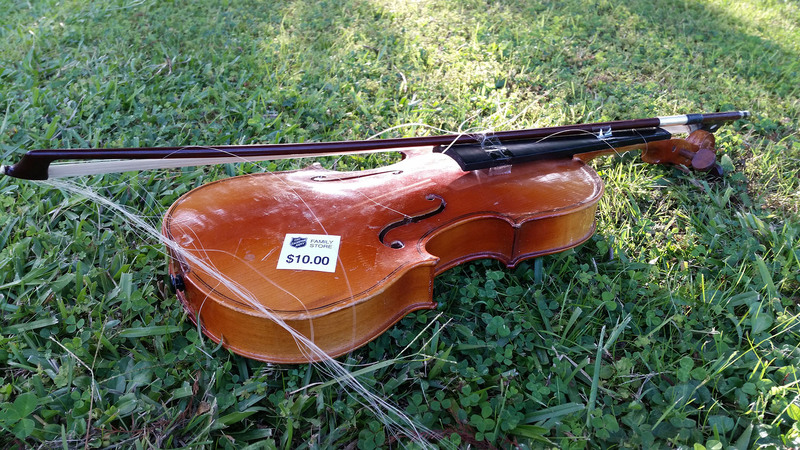 One day passing through a charity store I noticed a cheap broken violin. 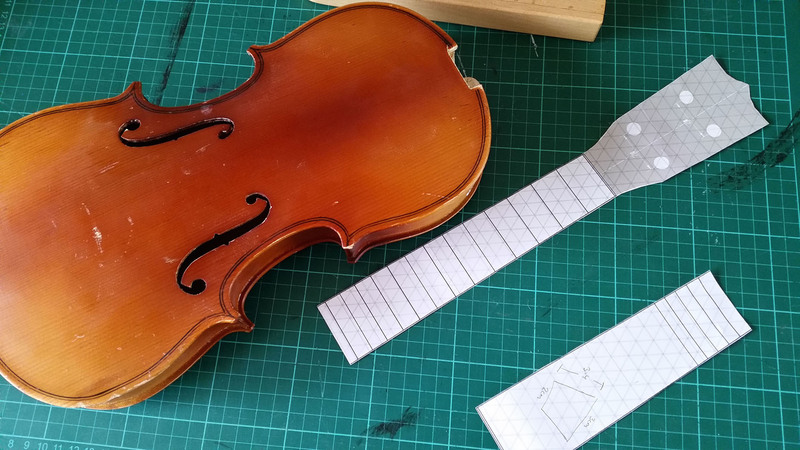 I had seen some other online convert/modify their violins to Uke’s, so was keen to give it a try. For a small fee I picked it up and brought it home, ready to hack. Before upsetting anyone greatly (but still maybe a little), the Violin is a cheap Shanghai Lark. 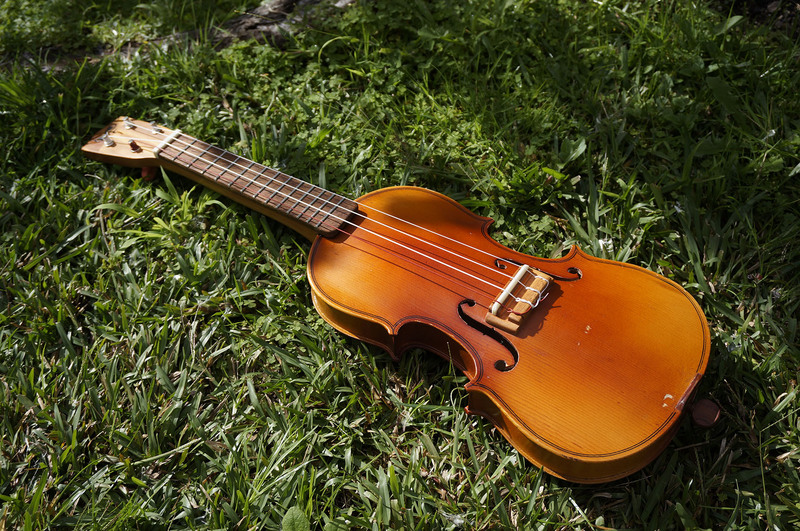 Its possible I am doing the violin community a favour ripping into this beast. An thats what i next did. 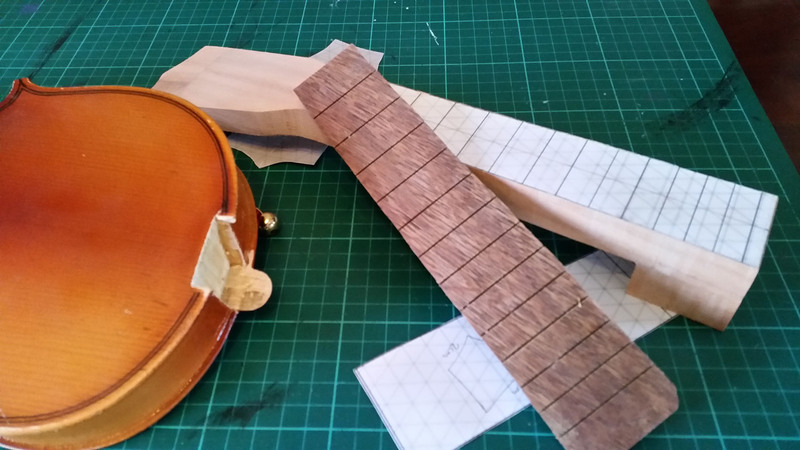 Off with the neck, and time to design and profile a new one. I decided to make this one concert sized. 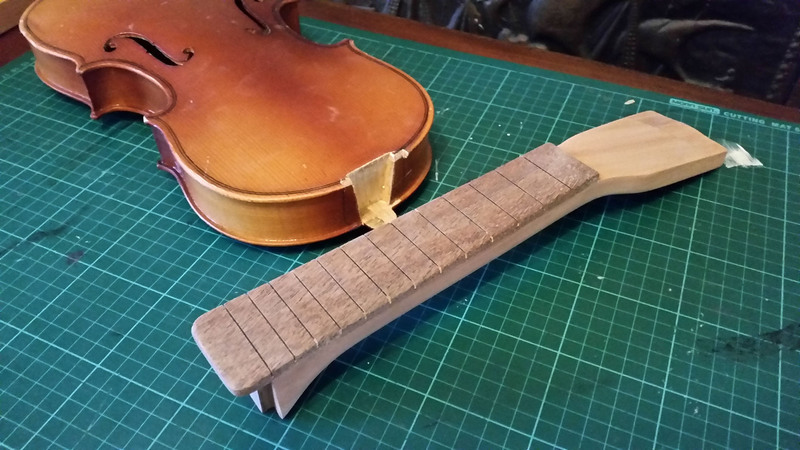 In keeping the bridge in the original spot (in effort to allow the body harmonics to be in the correct place still) the total length is actually about he same as my tenor. 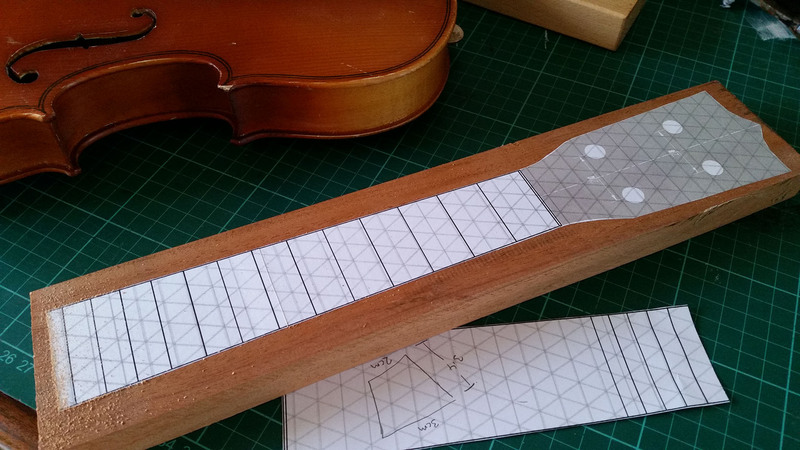 So I made the neck from mahogany and the fretboard from merbau. The fretboard was a nice thin cut challenge for my new old table saw. I need to make a new throat plate as part of the board fell through the gap when cut…not so safe. Anyway, cut all the parts, hand planed flat, glued and cut. 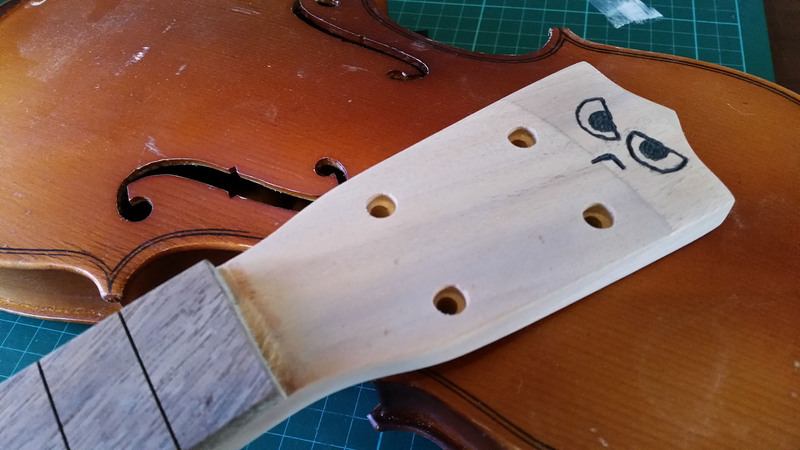 An ended up with a new neck. Added my logo, sanded and got prepped to varnish. 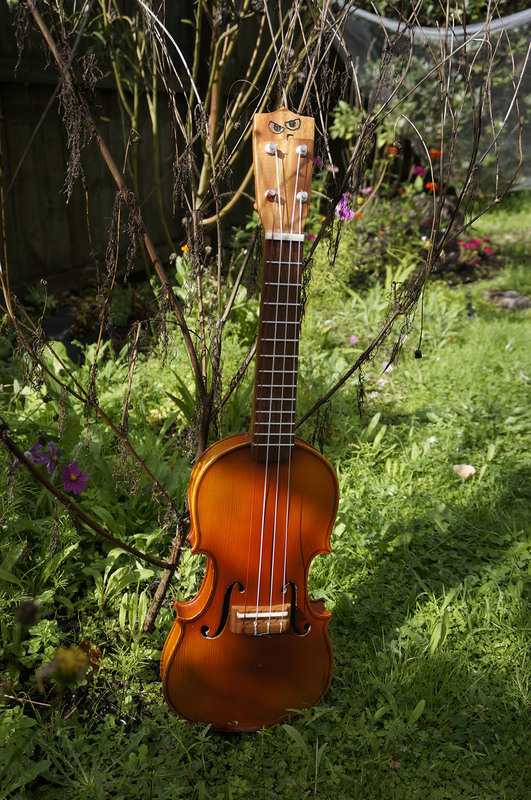 It turned out pretty good for a violin hacked into a Uke!